Thanks for making Solarize Shoreline a success! Now that registration has closed and installations are wrapping up, we’re excited to start generating some solar energy. Thanks to everyone that took the time to learn about solar and participate in this project, Solarize Shoreline has been a great success! 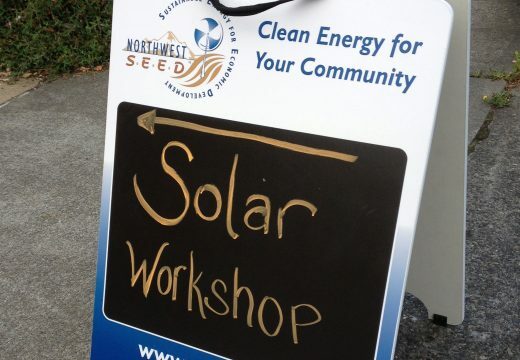 If you are interested in solar and missed our workshops, you can contact Northwest Electric and Solar or another contractor directly to receive a solar quote. Workshops are free and open to the public. The Solarize group purchase price is extended to residents of the City of Shoreline. 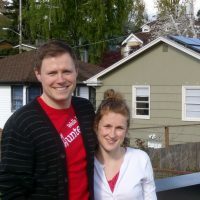 Northwest Electric and Solar was selected by your neighbors through a competitive process to serve Solarize Shoreline customers. Learn more about the company on their website, and come to a workshop to meet representatives and ask your questions! We've completed 117 of 300 kW!